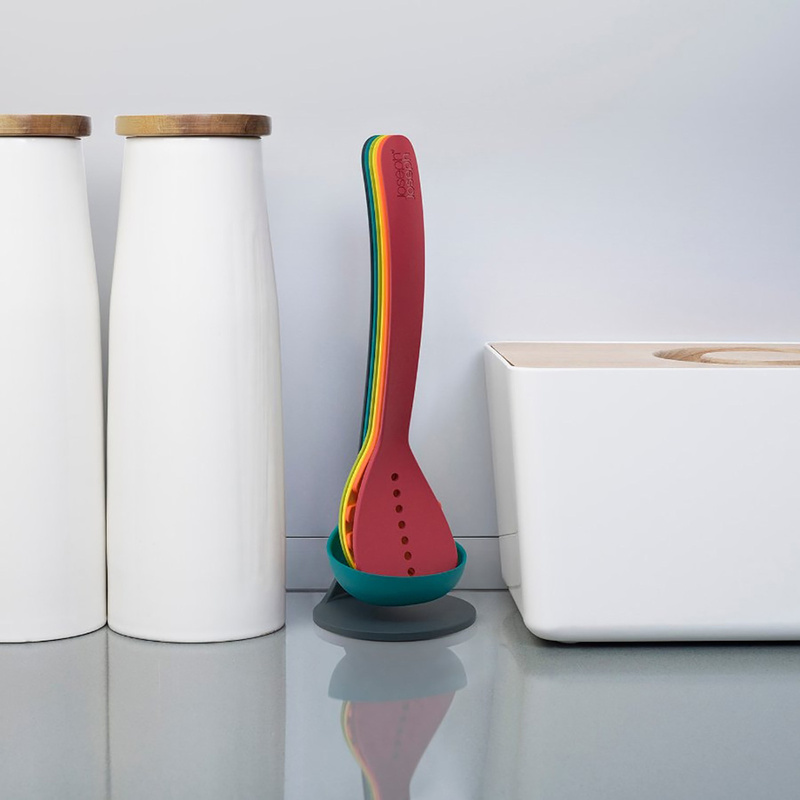 The Nest Plus set comprises 5 essential kitchen tools. 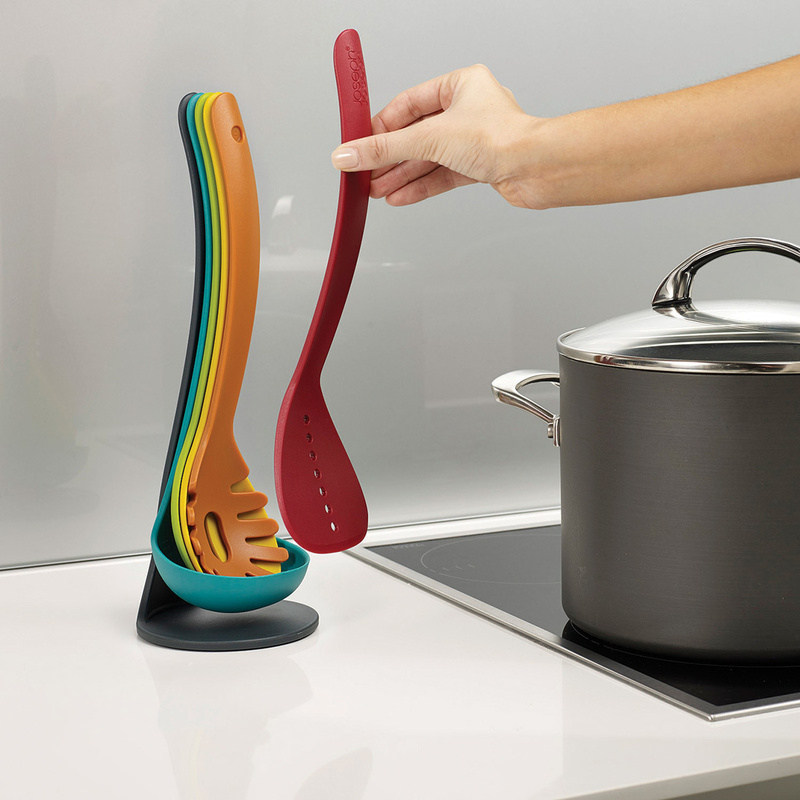 This innovative design now comes with a separate storage stand which holds any utensils that aren’t in use. When nested together, each tool is held securely in place by small magnets in the handles. 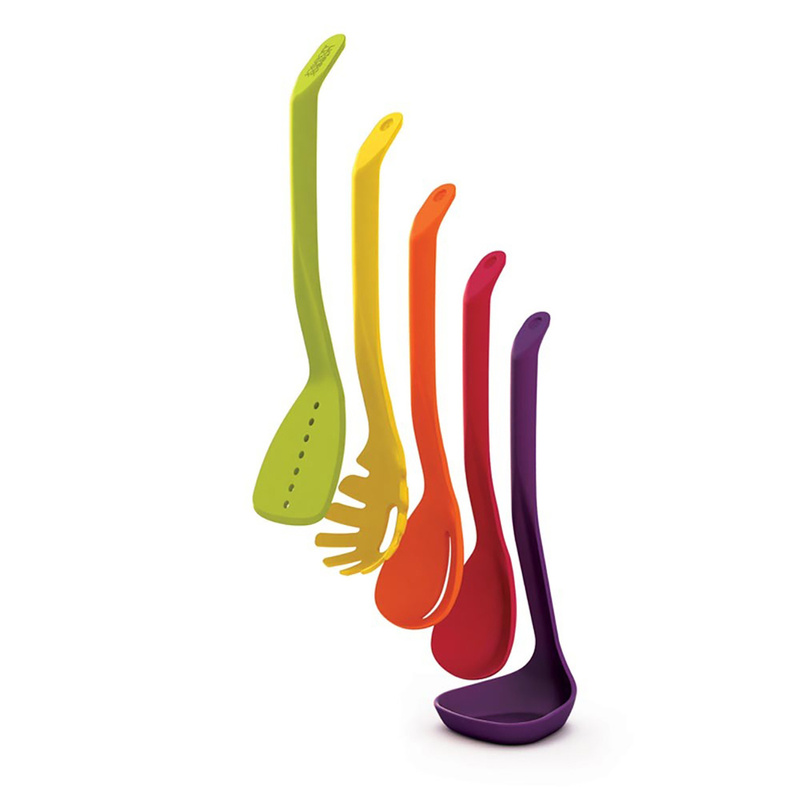 This colourful set not only looks great, but its compact design eliminates the need for an additional utensil pot. 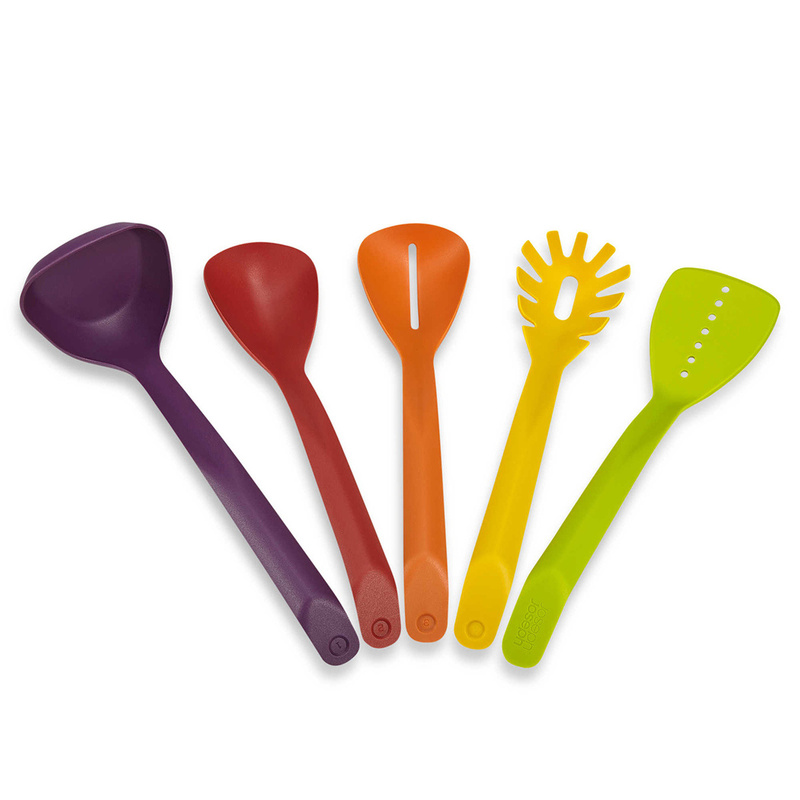 All utensils are heat-resistant up to 200°C/392°F and are dishwasher safe. 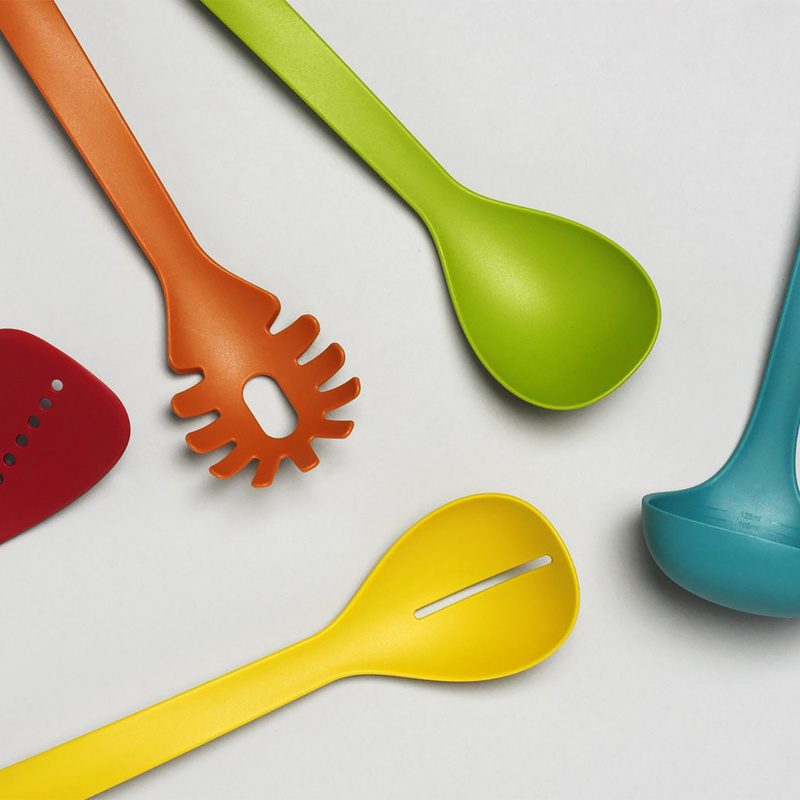 Nest is the ultimate collection of practical, space-saving kitchenware comprising a unique range of food preparation sets. Their innovative design allows the individual elements within each set to be stacked together, thereby occupying the absolute minimum amount of space, wherever they are stored.